Closest thing I've seen to a hotel in terms of a vacation rental. Place is absolutely pristine, and they give you a phone with a 24 hour concierge number to call with any questions, bookings, etc that you have. Design and decor of the place is immaculate. Can't say enough good things about this home. Akiko and Patrick are great as always..I'll never tire of their beautiful properties! Highly recommended next time you are planning for a trip to Kyoto! 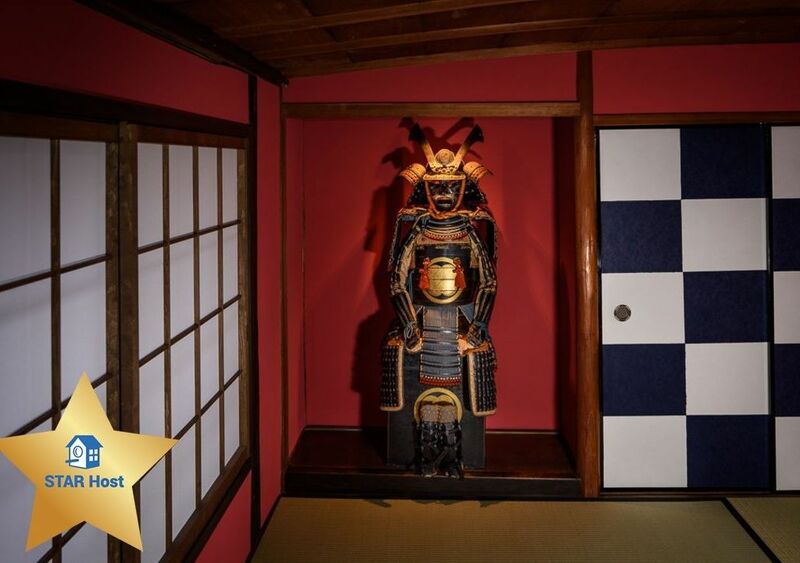 We loved our stay at the Gojo Samurai House. Beautiful decorated, fantastic authentic Japanese accommodation. We highly recommand the house. Perfect place to stay and discover Kyoto. Akiko and Patrick were easy to communicate with. They are very lovely hosts. Thank you Akiko and Patrick for a wonderful experience. This machiya has been beautifully remodeled yet they kept some traditional elements in the architecture which makes it very cool and unique. It is also very nicely decorated and clean, but tall people beware, my husband and sons kept bumping their heads on the door frames. No big deal but I thought I would mention it. Another thing is that it's not really suitable for small children, the stairs are very steep and the railing is not safe, also there are some low wood and paper sliding windows upstairs that look down on the first floor and a child could easily climb over and fall down. So watch your children if they are small. The location is a bit off the center of activities, about 10 minute walk to the subway station which is a bit far if you have small kids or if it's raining. The nearest grocery store was a 20 minute walk, and the Gion area about 15-20 minutes away. So it's great if you like to walk and the weather is nice. Overall it is a very cool place and we were glad we stayed in a traditional house and not a regular hotel. I highly recommend it.